There are also backing tracks to some of the songs for you to play along with. For me, the backing track exercise is an important element to play as near the real playing you do on concerts and performances as possible. Find more backing track in my Tee Bee backing tracks web store. To comment my lessons and articles in the comment fields you need to login to Disquis through Twitter, Facebook or Google+. You can also sign up to DISQUS. If you want to comment something or having contact with me in another media you can go to the forum and choose the social media you´re using to make contact. Hope you enjoy my lessons and feel free to ask me if there´s anything unclear. Welcome to my guitar lessons! Hi and welcome to Thomas Berglund Guitar lessons! full membership and get access to all of my lessons. In my store you´ll find more guitar lessons, licks and more. If you´re searching for licks there are a lots of them on this page. Get two e-Books with licks for free here! Subscribe to my newsletter by writing "newsletter" in the message below and submit. add "free e-Books" in the message. Doublecheck your e-mail address when I can´t answer if it´s wrong. If you´re searching for guitar lessons with improvisation and fundamental theory you have come to the right place. The improvisation topic goes through all my lessons. I have played in various genres through the years but no matter what style I have played, there´s the improvisation moment I search. I love Jazz, Blues, Country and many styles but there´s in the improvisation my heart is. So....my intention is to have lessons in various genres but to put in solo scales, phrasing and stuff from the improvisation. 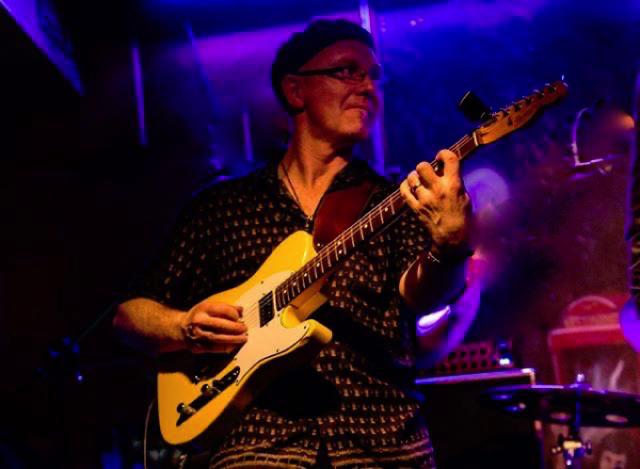 The improvisation course have essential scales, inside/alternative soloing scales, phrasing and more advanced stuff about improvisation as courses. What I´m talking about in the improvisation course you can use in every style more or less. So that´s why I have a lots of songs in various styles were you can practice in context what you´ve learn. I build my lessons around my courses and they work like this. I have three head courses there are Improvisation, Various Genre and Various Guitar courses. Under these there are sub courses. In the Genre course there are topics as the style of Jazz, Blues and more. And in the Jazz course there are specific courses like Chord/Melody guitar arrangements course and similar. So one can say that there are layers of courses. If you like my official guitar lessons and find them useful you can sign up for a membership account to get access to all of my lessons immediately. - Hundreds of lessons and new ones regularly. - A blog where we together have a "Question and Answer" discussion in different topics. - I can look at your playing and give you some tips to improve. You send me a video where you play something you want help with and I give you tips on it. - Access to the pdf music score/tabs to my Instagram licks & chords videos. - Access to all of my official guitar lessons pdf files including music score, articles and more. - Access to all of "My Licks" including pdf music score/guitar tabs with and without notations. - Exclusive performances from me and the members. - Backing tracks to my lessons and access to my web store backing tracks. - Licks package, e-Books, full courses and much more....! You can join my Patreon page community if you want to get access to more guitar lessons, guitar licks, articles, pdf files and extra content of mine. On Patreon there are different levels to unlock and every of those levels has different rewards for you. If this sounds interesting for you just follow the link below and check out what´s there for you. I have develop my improvisation skills a lots since I started follow his lessons. I´m very happy to have found Thomas lessons. He´s an inspiration both as a musician and a teacher. I cannot find anyone else to learn better from. I love Thomas courses. When you´re ready with a course there are plenty more to start work on and everyone is filled with such useful stuff. I can recommend everyone to signup to Thomas members site. So much useful stuff when you want to improve the guitar playing. For the moment there are 250 video guitar lessons, 17 full courses with e-Books included, 170 licks, chord clips, soloing and melody videos and also performances, live clips, Q & A videos and more on my members site so there are quite much for you to explore. Here´s a video speed application which you can slow down and increase the speed of the video you watch.